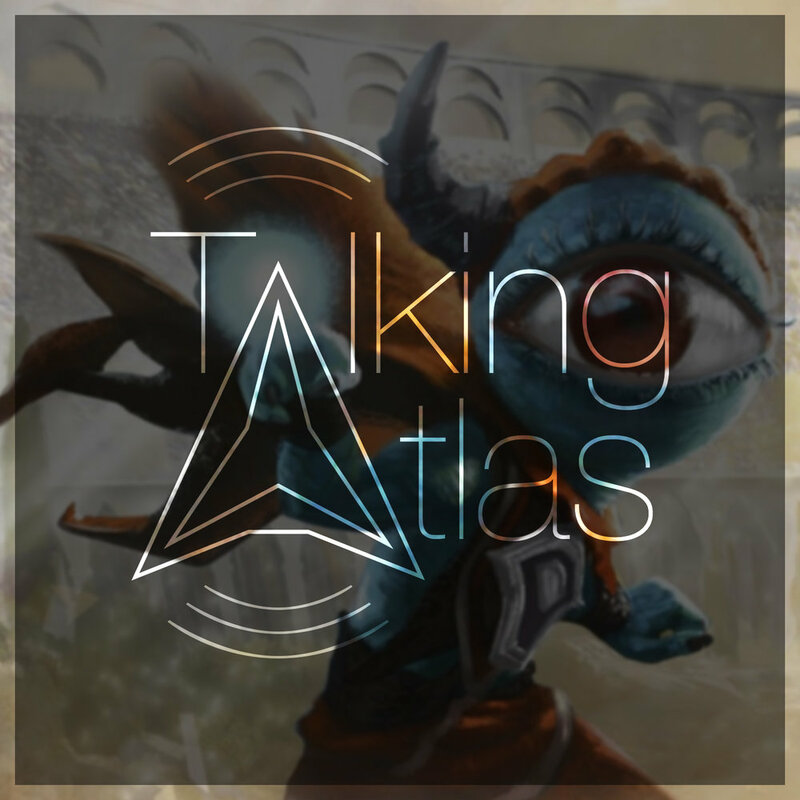 Talking Atlas is a romp of a Magic: The Gathering podcast. Join hosts Bryce Miller (@Walking_Atlas) and Jacob Schatz (@Phrawger) for news, flavor discussions, deckbuilding, and just about whatever we feel like mentioning in the gaming world. Enjoying the podcast? Subscribe, or find us on Apple Podcasts and Google Play! Talking Atlas updates Sundays at 12:00 PM EST. Jacob bridges the gap between Magic and another one of his favorite things (music, as the title may apply). Care to chat with us? Come discuss Talking Atlas, Magic, and more in the Opal Nebula Discord! Magic: The Gathering is the intellectual property of Wizards of the Coast, a subsidiary of Hasbro, Inc. Swan Song art by Peter Mohrbacher. Jacob and Bryce hop in their multiversal dirigible to examine the culture of Magic's elves... ACROSS THE MULTIVERSE. Magic: The Gathering is the intellectual property of Wizards of the Coast, a subsidiary of Hasbro, Inc. Gilt-Leaf Winnower art by Viktor Titov. The Talking Atlas duo spins the Scryfall wheel once more, delivering to you oodles of factoids about randomly-selected cards. Magic: The Gathering is the intellectual property of Wizards of the Coast, a subsidiary of Hasbro, Inc. Armageddon art by Chris Rahn. Jacob is back in action and Bryce is definitely not an undercover cop in this round 2 of Guilds of Ravnica spoilers! Want to watch Talking Atlas while you listen? We’ve got you covered on the Opal Nebula YouTube channel! Magic: The Gathering is the intellectual property of Wizards of the Coast, a subsidiary of Hasbro, Inc. Doom Whisperer Art by Vincent Proce. The Guilds of Ravnica are up to their old tricks: Bryce dives into the first week of #MTGGRN spoilers! Support Titus’ Guilds of Ravnica KickStarter here! Magic: The Gathering is the intellectual property of Wizards of the Coast, a subsidiary of Hasbro, Inc. Izzet Guildgate art by Kirsten Zirngibl. Bryce and Jacob demo a new bite-size RPG segment in the Magic multiverse: Far Wanderings! Take a trip to Valor's Reach with Lydia, the Mindblade Render. Magic: The Gathering is the intellectual property of Wizards of the Coast, a subsidiary of Hasbro, Inc.
Jacob digs in deep to what makes Nicol Bolas tick, with this Unofficial Magic Story review of Chronicle of Bolas, the Core 2019 story. Magic: The Gathering is the intellectual property of Wizards of the Coast, a subsidiary of Hasbro, Inc. Approach of the Second Sun art by Noah Bradley. Jacob and Bryce embrace the gooey blob of entropy and talk about their experience with Chaos Drafts, and how you can plan your own! Bryce and Jacob leap off from one of the Commander 2018 decks and provide an entralling (some might say enchanting) overview of the enchantress archetype. Magic: The Gathering is the intellectual property of Wizards of the Coast, a subsidiary of Hasbro, Inc. Herald of the Pantheon art by Jason A. Engle. Commander 2018 is hot off the shelves, and the Talking Atlas talking heads bring you this hard-hitting review of the decks' themes and commanders. Magic: The Gathering is the intellectual property of Wizards of the Coast, a subsidiary of Hasbro, Inc. Arixmethes, Slumbering Isle art by Dimitar Marinski.